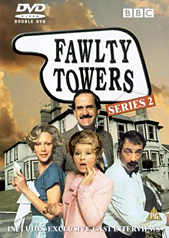 This is the same easter egg as found on Fawlty Towers Series 2, but in the box set the egg is found on disc 3. Select subtitles from the main menu and press your Up button to highlight the picture frame. The picture frame will actually become highlighted automatically if you watch all the extras on disc 3 anyway.